If an ancient demon rampaging through the Irish countryside sounds like your cup of tea, Arrow Video’s Blu-ray release of Clive Barker’s RAWHEAD REX is a must-have. With a strong cult following, this is a much-loved horror film that ticks all the right boxes: picturesque location, an angry demon, locals being eviscerated by the dozen, and good old fashioned good vs. evil. It’s a fun slice of 80s gore. Written by Clive Barker (HELLRAISER, NIGHTBREED) and directed by George Pavlou who directed the 1993 movie LITTLE DEVILS: THE BIRTH. Hugh O’Conor (Chocolat, My Left Foot, The Three Musketeers, The Young Poisoner’s Handbook) and Niall Toibin (Far and Away, TV’s The Irish R.M., TV’s Ballykissangel). 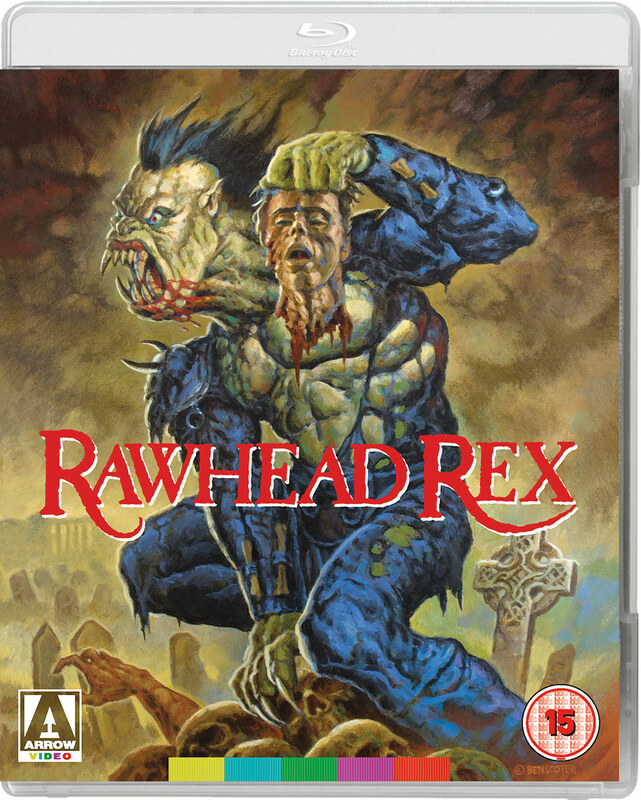 Adapted for the screen by acclaimed horror writer Clive Barker (HELLRAISER, Nightbreed) from his short story of the same name, RAWHEAD REX sees a hulking, ancient demon tearing a bloody swathe across the Irish countryside. When an unsuspecting farmer pulls up a stone column embedded in a barren field, he accidentally unleashes hell by freeing RAWHEAD REX – a hulking monster that has been trapped there for thousands of years. With the seemingly unstoppable demon rampaging through the local village, American historian Howard Hallenbeck is faced with the task of putting Rawhead back in the ground for good. The first of several films to be adapted from Barker’s seminal Books of Blood series, RAWHEAD REX has garnered a strong cult following over the years – now clawing its way to the surface in a stunning new 4K restoration from the original camera negative. When you boil it all down, RAWHEAD REX is a fun horror film. While the monster effects may not quite have stood the test of time, it simply doesn’t matter because it’s such an enjoyable horror flick. As old Rexy charges through the Irish countryside, in equal parts killing people and encouraging others to worship him as a god, the audience gets to thoroughly enjoy themselves as grue spills left right and centre, and David Dukes’ Howard Hallenbeck desperately seeks a way to banish the monster once and for all. And while many of us remember watching RAWHEAD REX on grainy VHS back in the 80s and 90s, now you can see it like never before in a gorgeous 4K restoration from the original camera negative.